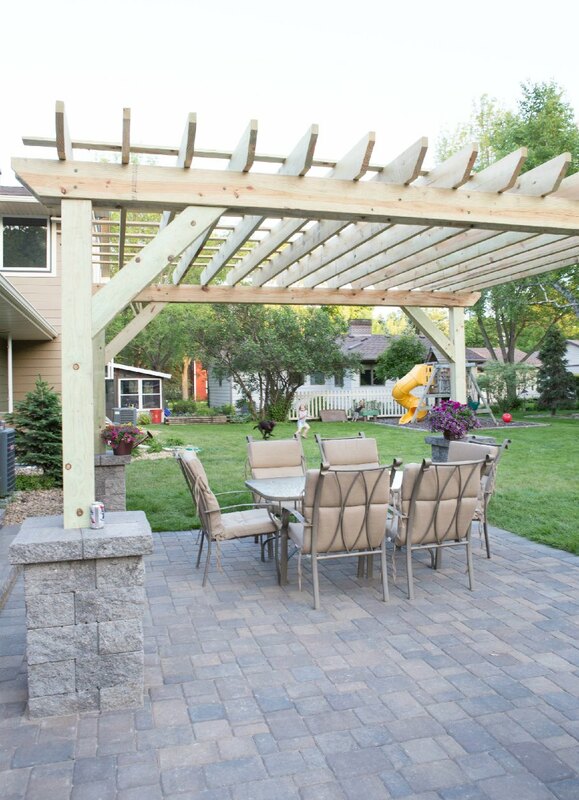 This paver patio with a fireplace and pergola turned out exactly how this family envisioned! 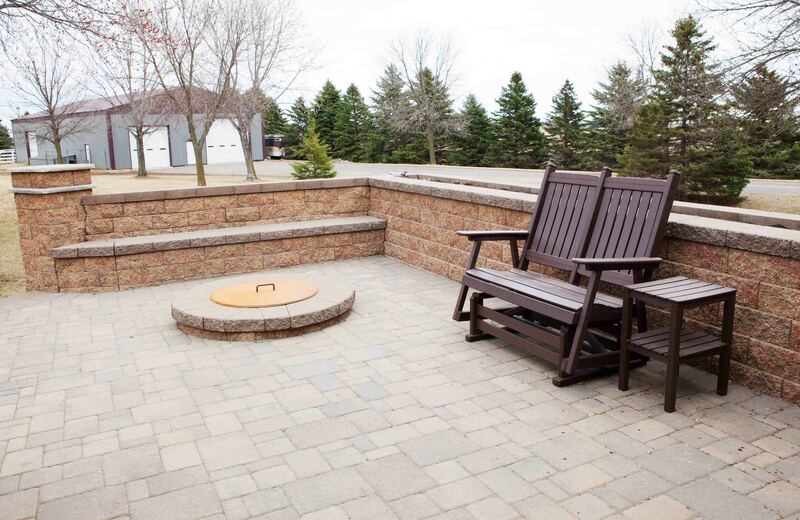 They were looking for a nice area to entertain while still being able to relax during the cool evenings with a toasty fire. 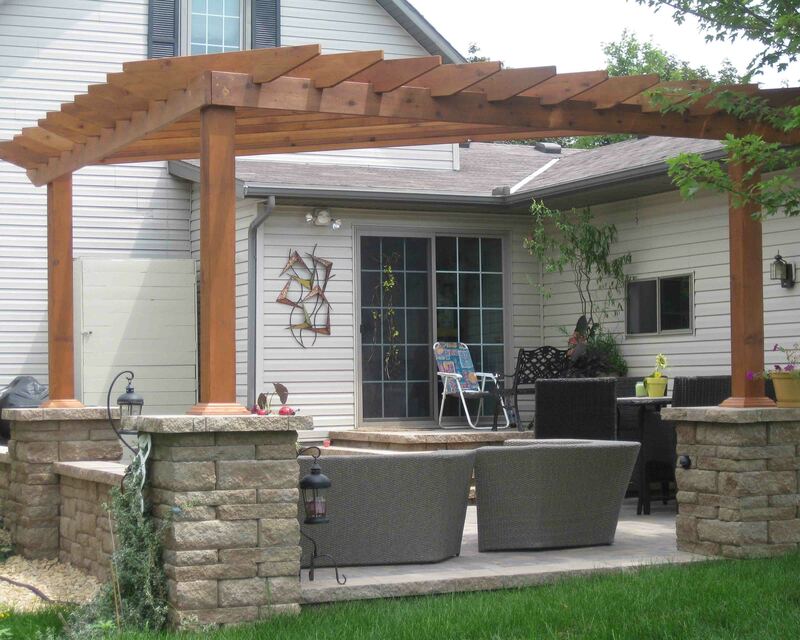 The paver patio with free standing pillars and a pergola frame in the outdoor area nicely. 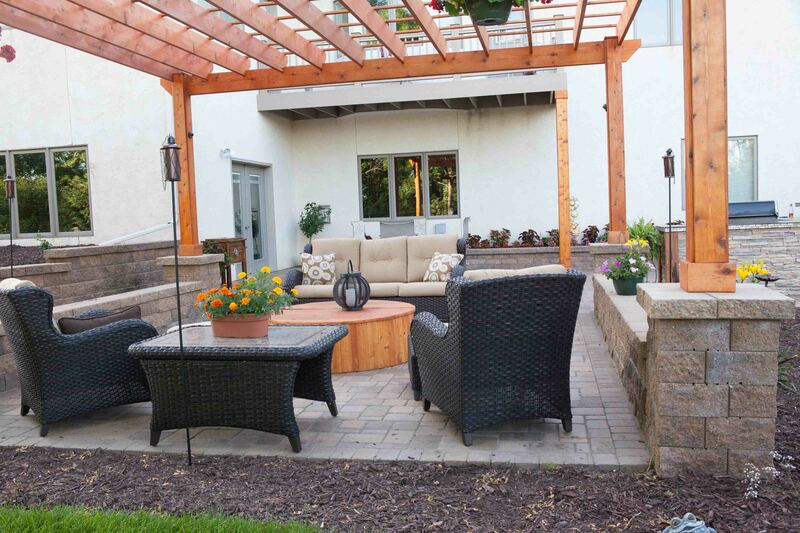 As guests walk out the patio door, they are greeted with a friendly area that encourages conversation. 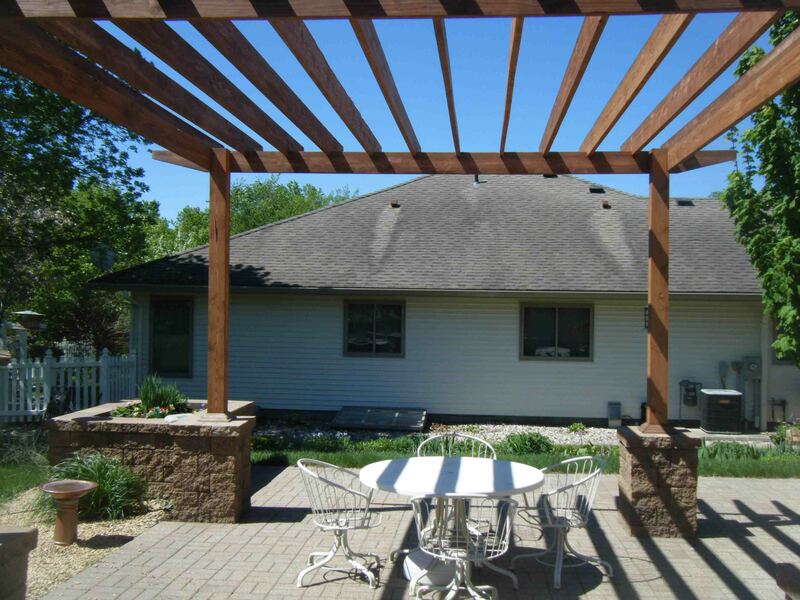 Or, the homeowners can use this area to sit peacefully outside and listen to the birds chirp. 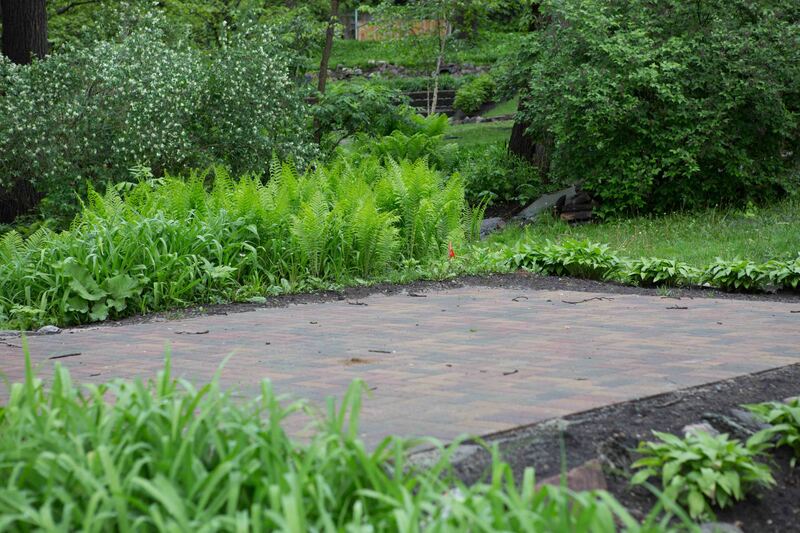 As guests continue out the door, they will be pleasantly surprised to see this added feature-the fireplace. 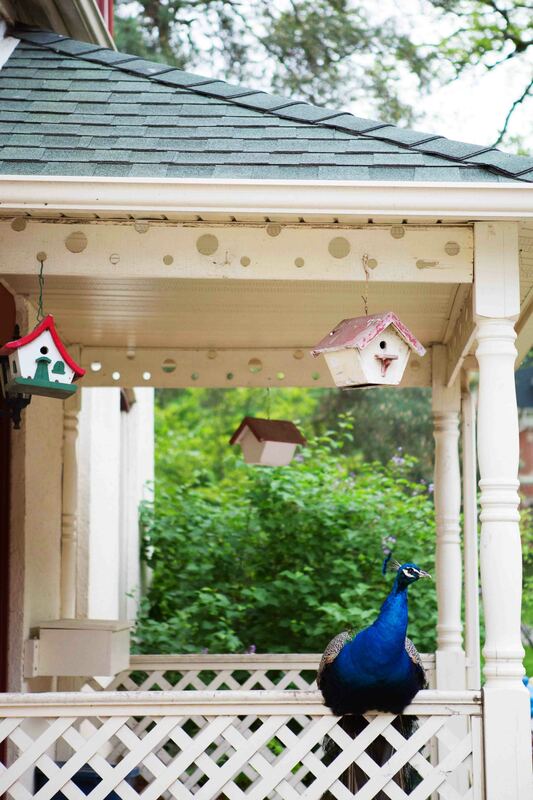 It is a beautiful statement piece. 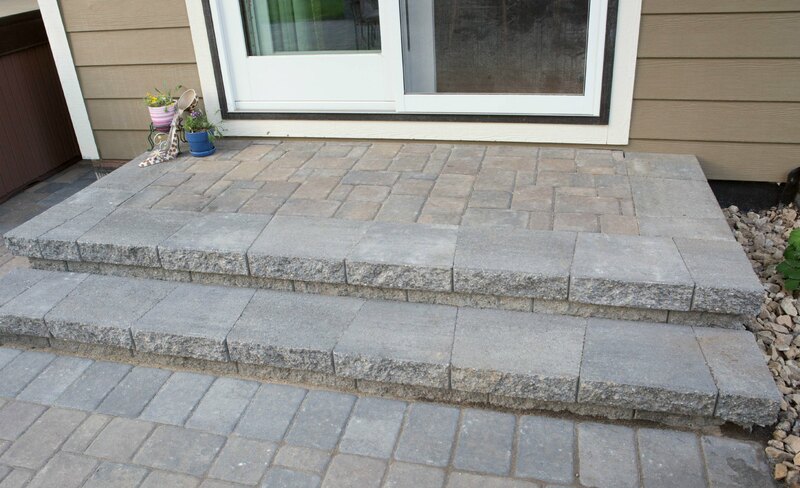 With the intricate design of the pavers combined with the added dimensions of sides and top pieces; it is exactly what this family was looking for. 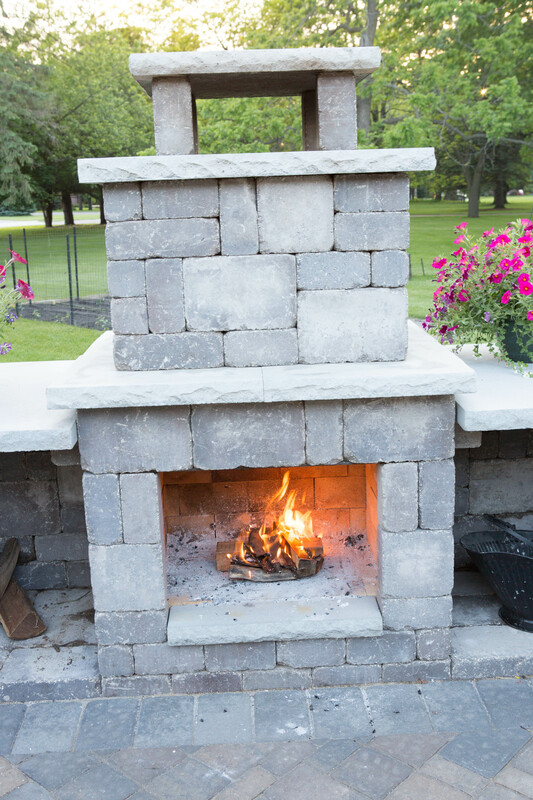 The sides of the fireplace are used for storing firewood and the other for the left over ashes. 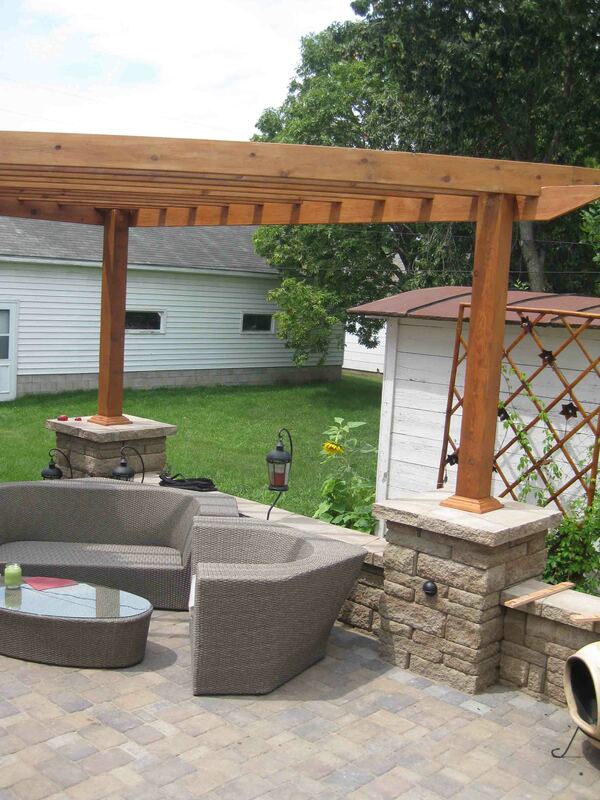 With the added top pieces it brings the eye up and makes for a great place to add a touch of color with potted plants. 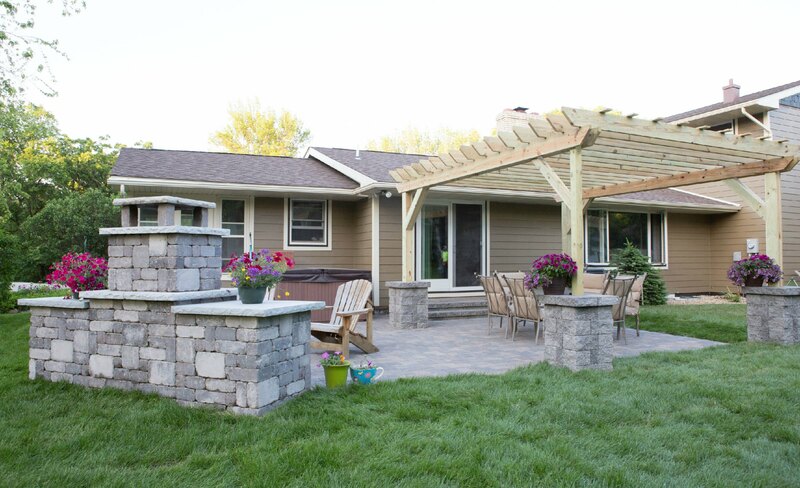 This family was so great to work with and we were thrilled to give them an outdoor living area that they not only love, but is functional for them to use. 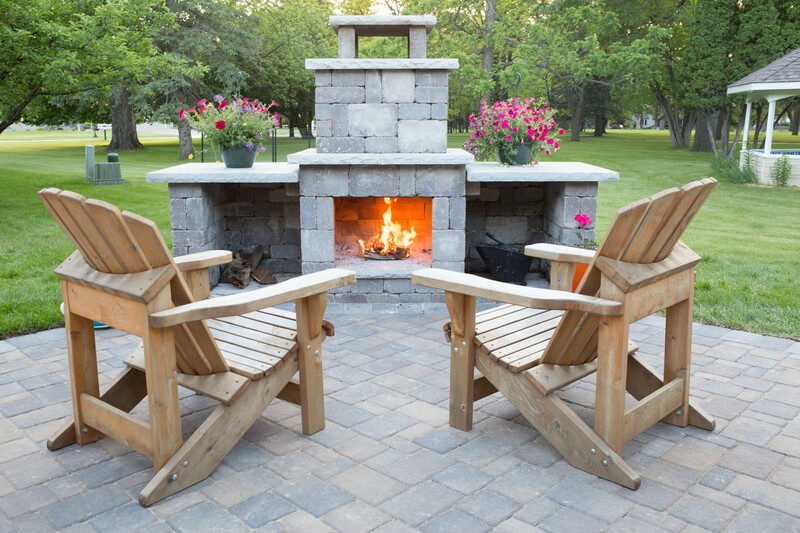 We can taste the s’mores and hear the chatter from all the gatherings they will be hosting! 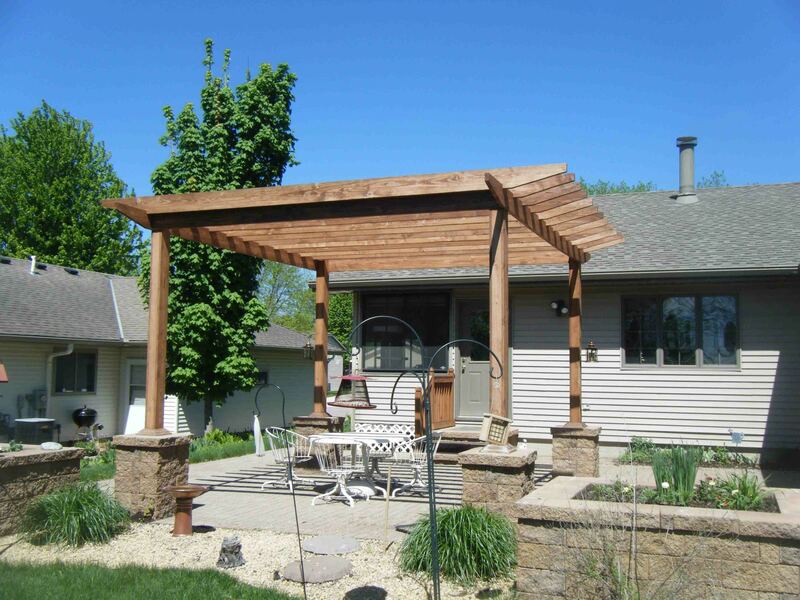 If this is a design you’re interested in or are looking for a way to create an outdoor living are you love, contact Leading Edge Landscapes at 507-276-8142. 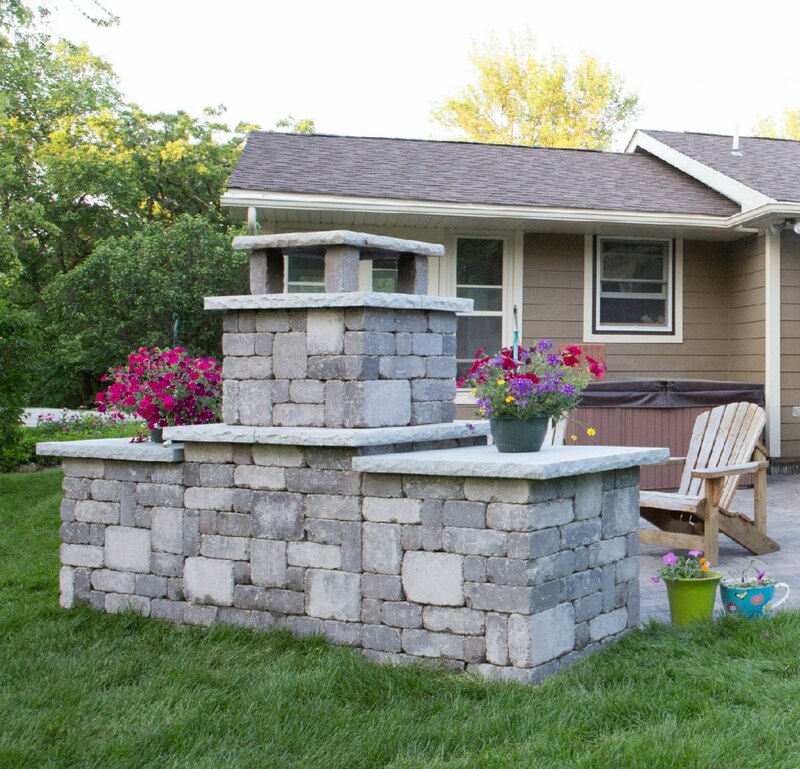 If you still want to be inspired, keep reading our landscaping ideas! 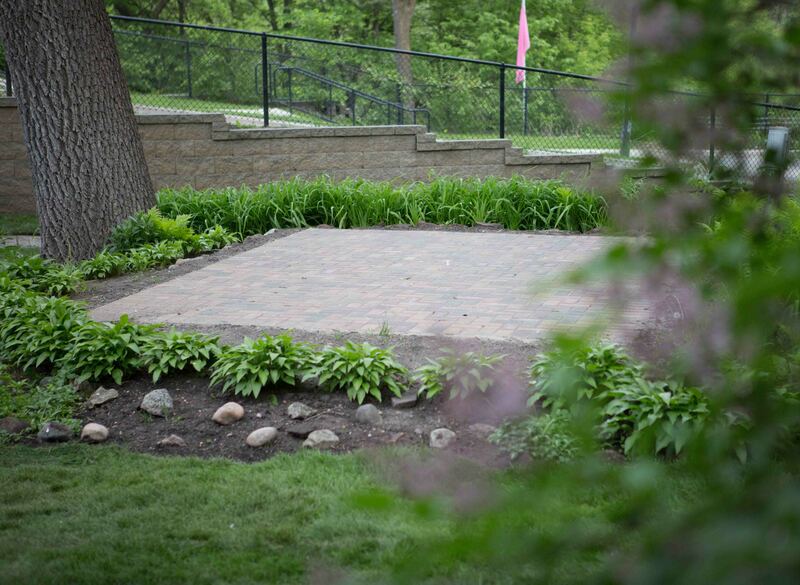 Schell’s Brewery gets a new paver patio from Leading Edge Landscapes! 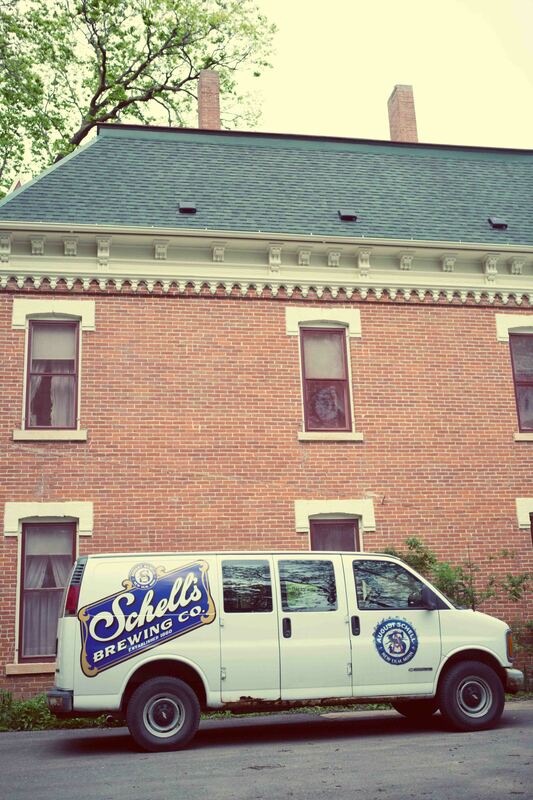 Schell’s Brewery is a family owned brewery and has been a part of New Ulm, Minnesota since 1860. 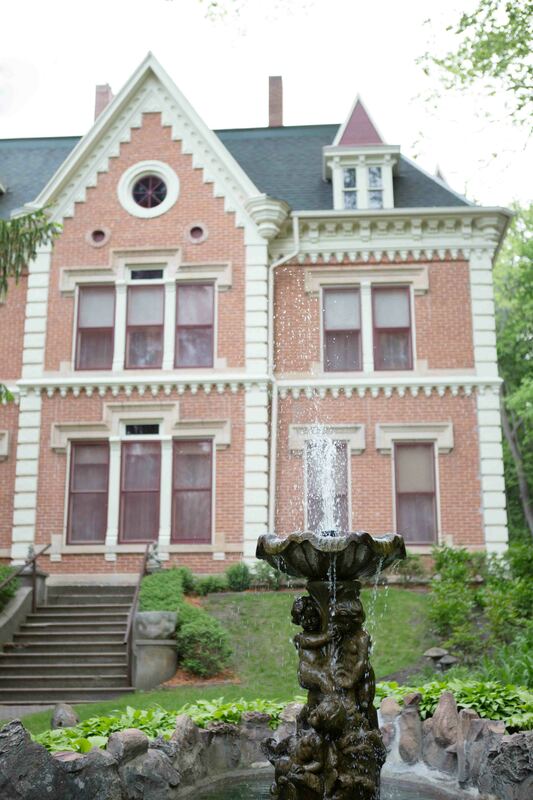 It is a tourist attraction and is held dear to the hearts of the community. 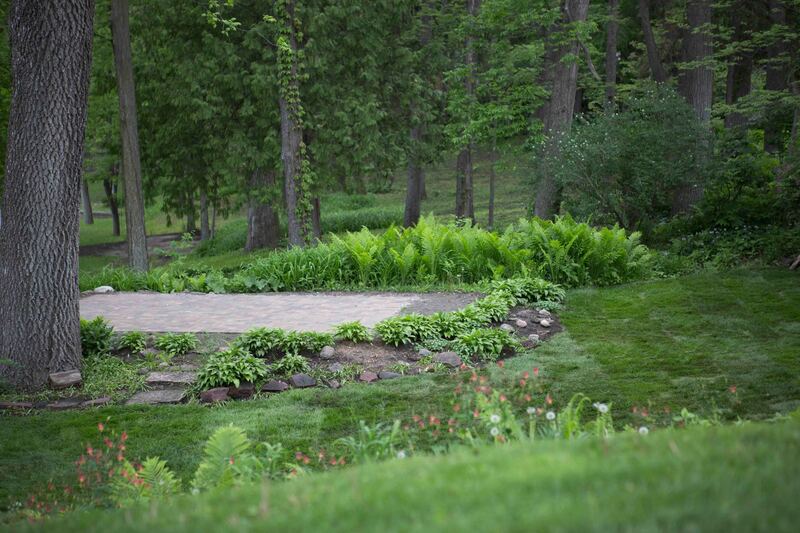 It is the place where couples go to take their memorable wedding photos and where many friends go to take prom pictures. 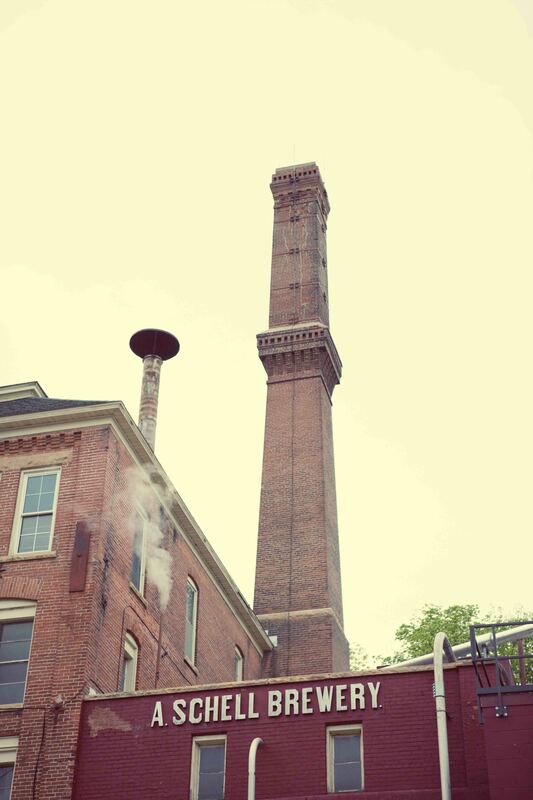 This family-owned brewery is beautiful; truly picturesque. 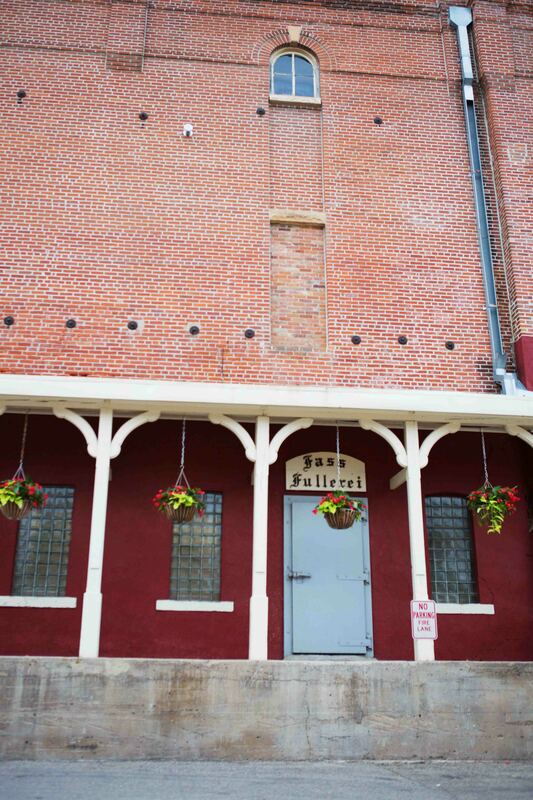 You can see why so many come for photos, but not only does the brewery provide the scenery for community members’ major life events, but it also hosts yearly events, such as Bock Fest and Oktoberfest. 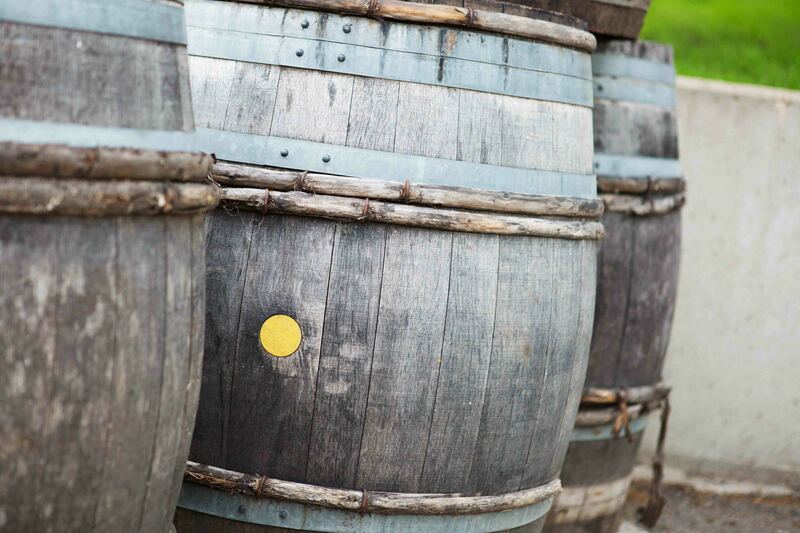 For these events, party-goers come to enjoy live music, new friendly faces and LOTS of tasty beer! 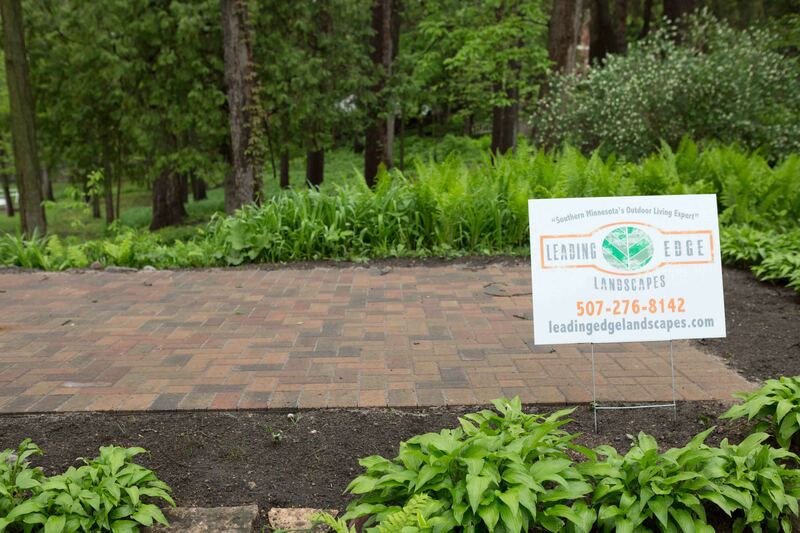 The owner of Leading Edge Landscapes and the owner of Schell’s Brewery have been family friends for years and Leading Edge was excited to help update the brewery with a new paver patio! A beautiful place for couples to take photos and for the Bockfest Boys to play their tunes to a crowd full of jolly festers. 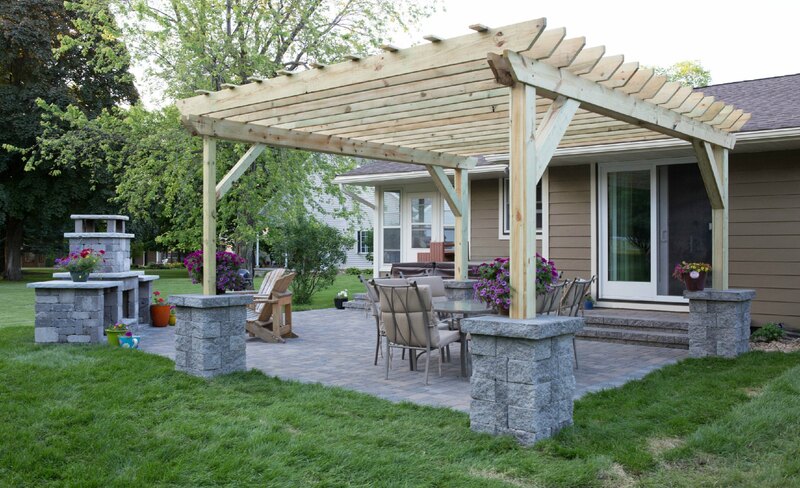 Contact Leading Edge at 507-276-8142 to update your outdoor living area or keep reading for more landscaping ideas to get inspired.